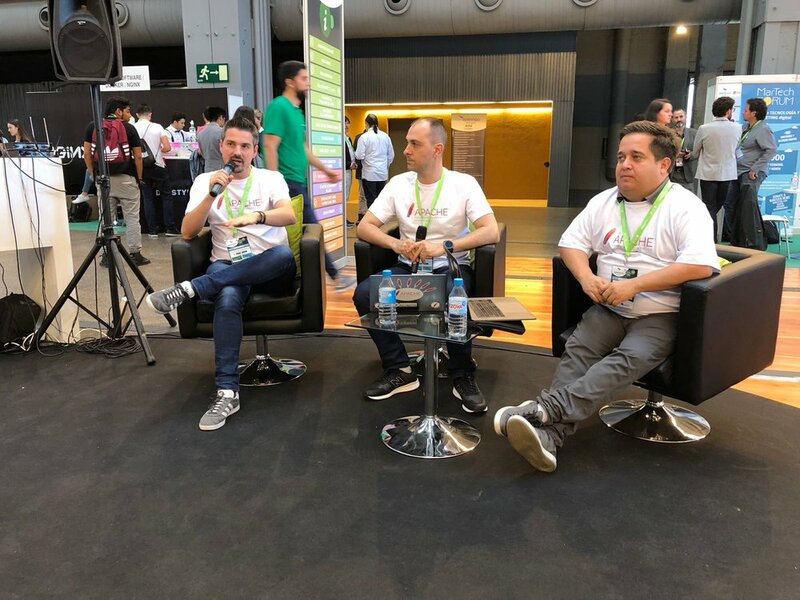 As mentioned in my previous post, I joined together with other Apache guys the last OpenExpo Europe 2018 in Madrid as Community Sponsor. 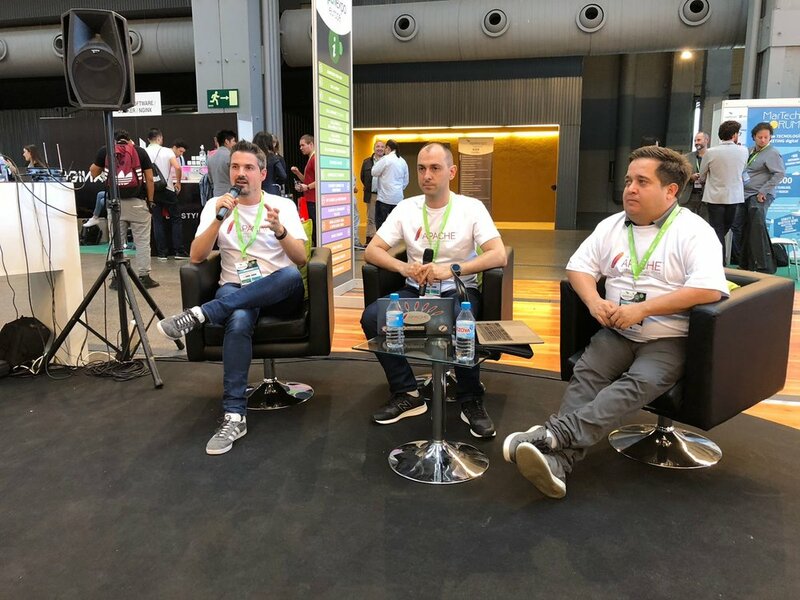 Yesterday was the second and last day of this conference, here some thoughts about how these two days have gone. 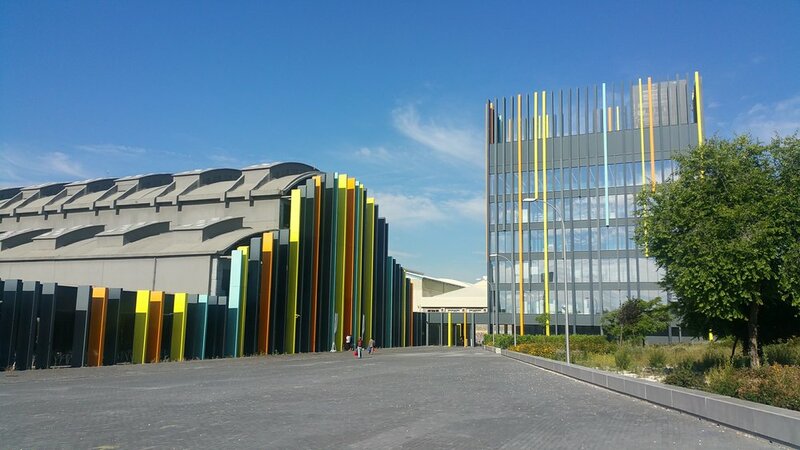 The event was held at La Nave, a very colorful location dedicated to arrange events and activities focused on innovation. The place is divided in three naves, in the center nave there are all the sponsors booths, an open relax area and the Open Circle Theater. Inside the lateral naves there are all the congress rooms for following sessions. When you have to grab something to eat or drink, there is a food area just outside the building and they also offer free beers \\O// (but only in specific time slots). 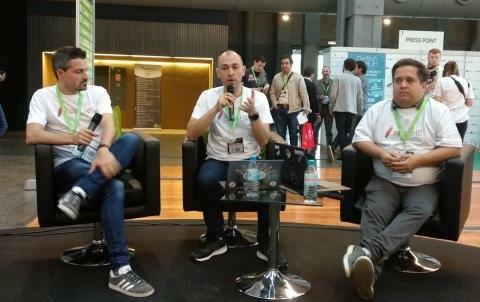 All the spaces are functional and appropriated for the technology context configuring different areas starting from gaming, lab, technical sessions, community and networking: simply amazing! 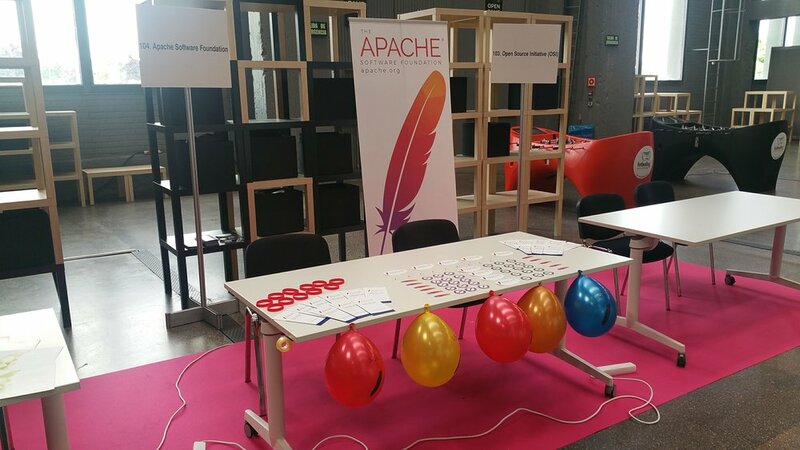 We had our own Apache booth (#104) inside the Community Village very close to the Startup Village. I appreciated the use of these empty black boxes behind the booth that we used to put our own stuff, this is a brilliant idea to avoid chaos around the booth. 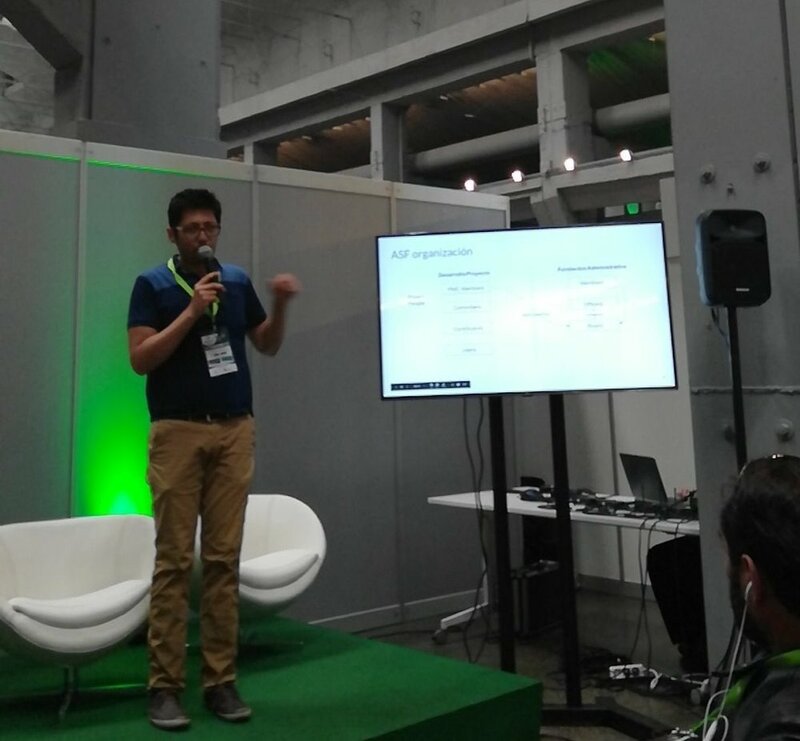 During the first day we held an Open Debate to talk about challenges when you decide going Open Source. We had a little and curious group of attendees and there were some shy people around the Open Circle Theater that listened the discussion but remaining standing up. We have covered all the planned topics during the debate starting from the challenges, trying to discover different approaches to build a community. Then we embrace the diversity topic for finishing talking about the benefits of an Open Governance. It seems to be a very good model to engage attendees on this kind of topics, we are also wondering if we should add a Current State Status and Questions section for each topics. We worked together on these contents a little bit before the conference on the ComDev mailing list and inside our dedicated wiki page. I think that with some improvements, we could create a real white paper or a framework useful for everyone inside a company wants to start going Open Source. It could become something similar to a toolkit to facilitate InnerSourcing adoption. It can't solve all your problems because each project and each company has its own vision and point of view but it could become a very good starting point at least for approaching a personal way to adopt these new strategies. Our Apache guy Ismaël Mejìa held a session yesterday morning at 10am. His session liked to many attendees demonstrating a pure interest in the understanding of how the Foundation works. 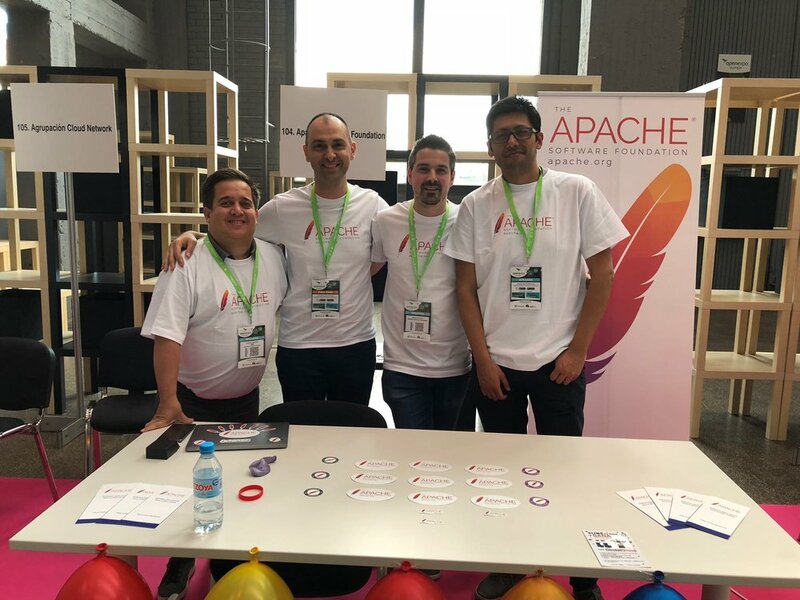 Even if a lot of people know the brand, there is a lot of work to do for spreading out The Apache Way and the culture behind projects and the Foundation itself. We are continuously trying to bring users, developers and any interested people to subscribe mailing lists, channels or to contact us directly for being guided into the right contribution path. 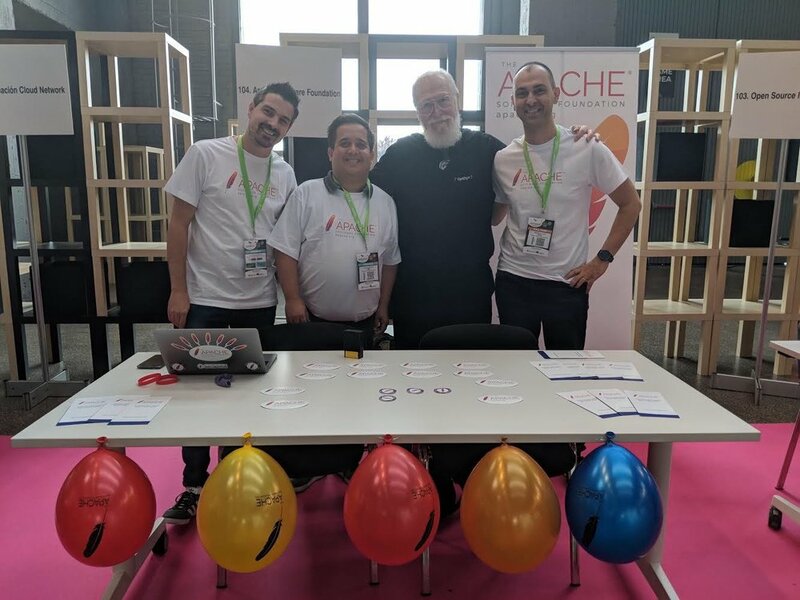 We typically suggest to try as a first choice any project inside the Apache Incubator because they could need more help than the other ones, you will identify them with the (incubating) suffix. When a project is in the incubator, this means that they are working on it for making the overall code, documentation, test suite and all the needed stuff compliant with any Top Level Project of ASF. You could have good chances to immediately find something to do to help the community. Please remember that Project Management Committees don't need only developers, they are also searching for people that can support users in the mailing list, write and maintain the documentation, tutorials, blog posts and tests.